Former Milwaukee Bucks head coach Jason Kidd is the latest candidate to interview for the head coaching vacancy with the Los Angeles Lakers. Kidd reportedly met with the Lakers brass on Monday. He becomes the third known candidate for the job, joining Philadelphia assistant Monty Williams and former Cleveland head coach Tyronn Lue. The Lakers are also expected to interview Miami Heat assistant Juwan Howard. Kidd previously coached the Brooklyn Nets and Milwaukee Bucks, combining for a 183-190 record. 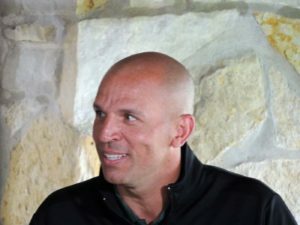 The Bucks fired Kidd in January of 2018. Giannis Antetokounmpo scored 30 points and pulled down 9 rebounds to lead the Milwaukee Bucks to a 115-107 win over the Atlanta Hawks at Fiserv Forum on Sunday. Khris Middleton added 21 points for the Bucks as they won their 60th game of the season. The last time the Bucks had a 60-game win season was in 1981. They reached 60 wins for just the fifth time in franchise history. Mike Budenholzer became just the seventh coach to win 60 games with multiple teams. 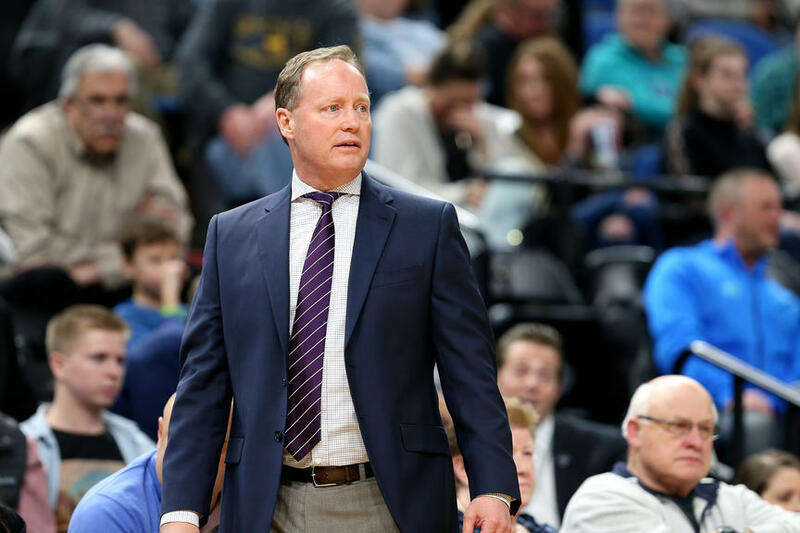 Budenholzer previously won 60 games during the 2014-15 season on the way to NBA Coach of the Year honors. Alex Len had a game high 33 points and eight rebounds for Atlanta in the loss. The Bucks have one more game left in the regular season. They’ll face the Oklahoma City Thunder at Fiserv Forum on Wednesday night. Giannis Antetokounmpo poured in 45 points and pulled down 13 rebounds to lead the Milwaukee Bucks to a 128-122 win over the Philadelphia 76ers, locking up the top spot in the Eastern Conference and the overall top seed in the upcoming playoffs. 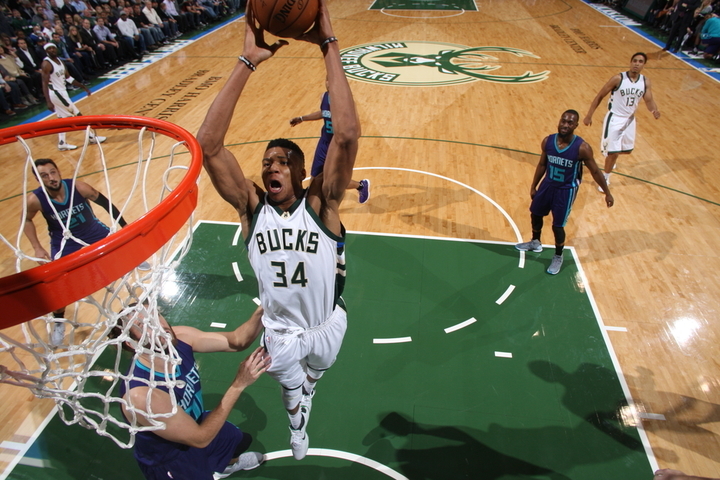 Antetokounmpo reached 25 or more points and 10 or more rebounds in a game for the 42nd time this season. He also blocked five shots in Thursday nights win. Khris Middleton added 22 points and George Hill had 20 for the Bucks. 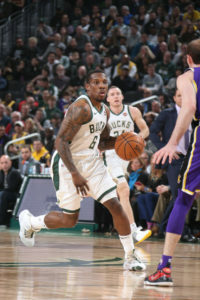 The Bucks needed a big game from Hill after point guard Eric Bledsoe was ejected from the game in the opening minutes after firing a ball at Philadelphia’s Joel Embiid. The Milwaukee Bucks magic number to clinch the best record in the NBA is down to one with four games left in the regular season. With Eric Bledsoe and Giannis Antetokounmpo back in the lineup, the Bucks knocked off the Brooklyn Nets 131-121 on Monday night at Barclays Center. Antetokounmpo started slow but finished strong, scoring 28 points and pulling down 11 rebounds. Bledsoe led six Bucks scorers in double figures with 29 points. George Hill scored 22 points off the bench as the Bucks won for the 58th time this season. The Bucks played without Khris Middleton again, as well as Ersan Ilyasova, who took the night off with back soreness. With four games left, the Bucks play their final regular season road game at Philadelphia on Thursday night. 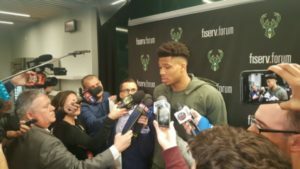 The Milwaukee Bucks were rolling along in the second half, drawing closer to putting the Los Angeles Clippers away when Giannis Antetokounmpo tweaked his sore right ankle again. The Clippers then cut an 18 point deficit in half before the Bucks held on for the win. 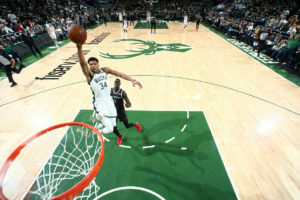 Giannis returned from the locker room and was ready to check back into the game, but the Bucks put together another surge and the Bucks were able to keep their star on the bench. The Bucks pulled out a 128-118 win over the Clippers, seeing their magic number to clinch the best record in the league drop to two, with six games left to play.